Look, no one wants to get a lemon. Well, maybe the folks at Country Time Lemonade—but when it comes to used vehicles, there’s no making lemonade from a busted hunk of junk. When you think about it, there are a few ways that buying a used vehicle can come back to bite you in the backside. Luckily for you, Team Ford believes in the magic of the CARPROOF report.  Read on, to learn about what you should be looking for in the CARPROOF report that the good folks at Team Ford so generously provide with all their used and certified pre-owned vehicles. Don’t get stuck footing the bill because some deadbeat didn’t pay their car loan. CARPROOF has caught liens on 37% of the vehicles they have double checked. Last thing you want is that pristine credit score of yours going down the crapper, just because some yahoo with expensive taste and no responsibility ran up a load of debt, and then you have to pay it off with money you may not have. Save yourself a headache, not to mention your hard earned dollars. Vehicles are a lot like people. Just because the exterior looks great, that doesn’t mean there isn’t something funky going on behind the scenes. A CARPROOF report will provide you with a full rundown of a vehicle’s accident history, insurance claims against, any damage it’s sustained, any times the airbags went off, or any time it’s been serviced. Don’t end up with a sour taste in your mouth because that gorgeous yellow paint job was hiding a lemon of a vehicle. Say you put a lot of miles on your vehicle, travelling the countryside selling —oh I dunno, lemonade— and you’re buying a vehicle because it has low kilometres. Well, wouldn’t you like to know that the number on the odometer was 100% accurate? Last thing you want to find out is that the little old lady who only ever drove the car 200 metres to church and back every Sunday was actually putting heavy duty mileage on the engine, driving across the country, solving crimes or something. Well, the last part is kind of cool. But not the part about you being lied to! There are other bits and pieces on the CARPROOF report that’ll come in handy when you’re buying used—but we think those are some of the most important. And don’t get us wrong, they’re important. That’s why Team Ford always provides a CARPROOF report, because we want you to buy with confidence. Now, if you’ll excuse me, I’m off to the store to buy some lemons. Real lemons, not those of the automotive variety.